Large cherry red flowers with dark centres. 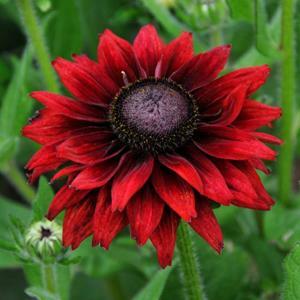 Long flowering period from July through to autumn and a robust growing habit. Normally grown as a half-hardy annual.